The Dearborn Street Station, designed by Cyrush Eidlitz, was completed in 1886. 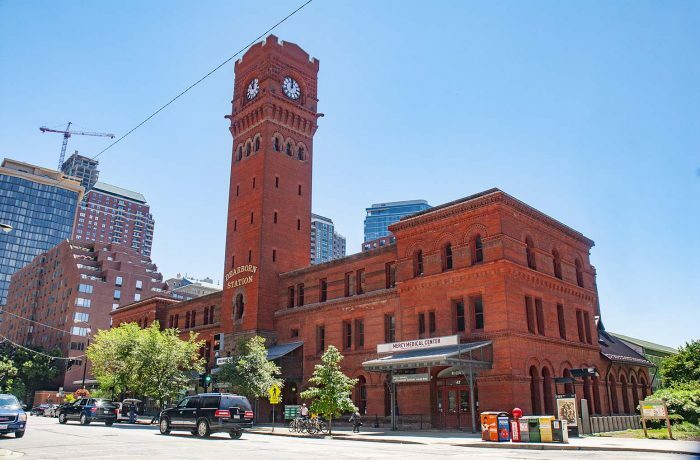 It is a Chicago Landmark structure, listed on the National Register of Historic Places, and it is the only surviving nineteenth century railroad station in Chicago. The scope of the project involved restoration and adaptive reuse of the existing building and construction of an additional 60,000 square foot infill structure designed to create a combined office retail building of 130,000 square feet. HPZS was awarded the Excellence in Historic Preservation Award by the Chicago Bar Association for this preservation project.